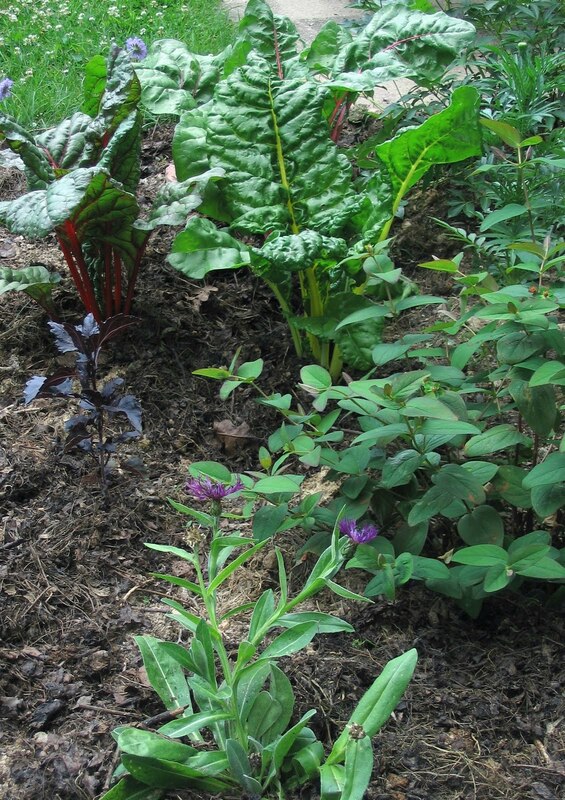 Swiss chard is tasty sauted with onions and garlic, but how about combining colorful-stemmed chard with flowers in your annual or perennial bed? I was inspired to do just that when I saw how attractive a single large yellow-stemmed Swiss chard plant looked among the flowers at the Master Gardeners demonstration garden at the County Fair Grounds last year. Having limited sun in my yard is another reason to combine chard with sun loving annuals such as marigolds. I also poked a curly-leafed, purple basil plant into the same bed for added interest. 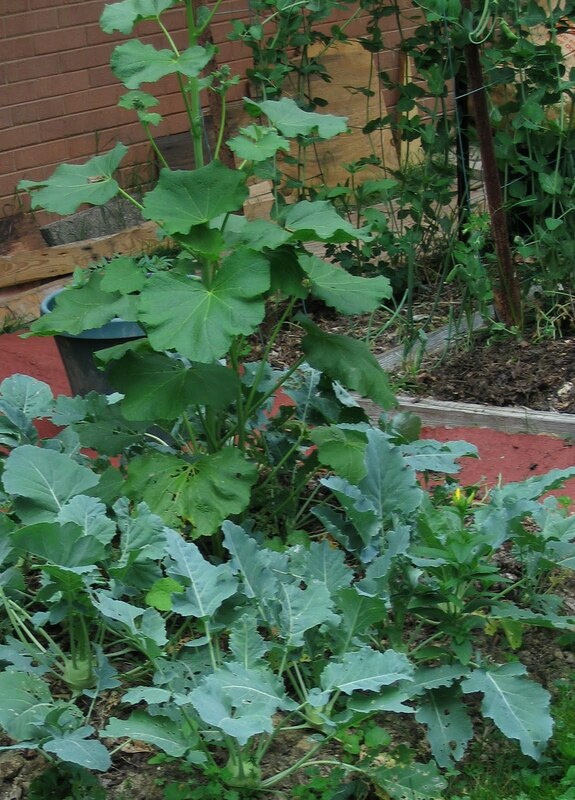 In another bed devoted to kohlrabi, a hollyhock appeared, so I left it to add a bit of color to that bed. And soon when the kohlrabi are all harvested, the blooming hollyhock can tower over whatever succession vegetables I plant.